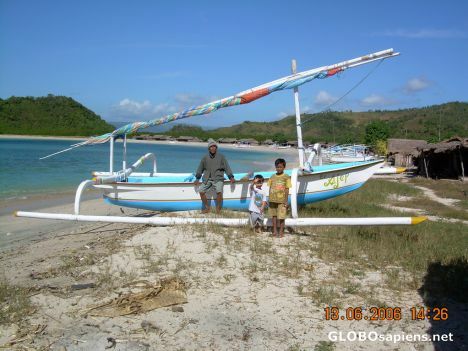 The friendly gent in photo hand built that little sail boat and has been back and forth to Bali. Not a bad trick. Nice spot!